This volume approaches the study of Muslim societies through an evolutionary lens, challenging Islamic traditions, identities, communities, beliefs, practices and ideologies as static, frozen or unchangeable. It assumes that there is neither a monolithic, essential or authentic Islam, nor a homogeneous Muslim community. Similarly, there are no fixed binary oppositions such as between the ulama and sufi saints or textual and lived Islam. The overarching perspective - that there is no fixity in the meanings of Islamic symbols and that the language of Islam can be used by individuals, organizations, movements and political parties variously in religious and non-religious contexts - underlies the ethnographically rich essays that comprise this volume. Divided in three parts, the volume cumulatively presents an initial framework for the study of Muslim communities in India embedded in different regional and local contexts. 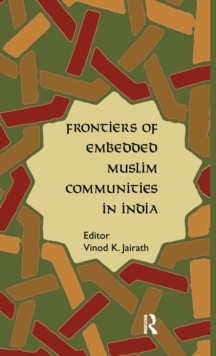 The first part focuses on ethnographies of three Muslim communities (Kuchchhi Jatt, Irani Shia and Sidis) and their relationships with others, with shifting borders and frontiers; part two examines the issue of `caste' of certain Muslim communities; and the third part, containing chapters on Tamil Nadu, Andhra Pradesh, Mumbai and Gujarat, looks at the varied responses of Muslims as Indian citizens in regional contexts at different historical moments. Although the volume focuses on Muslim communities in India, it is also meant to bridge an important gap in, and contribute to, the `sociology of India' which has been organized and taught primarily as a sociology of Hindu society. The book will appeal to those in sociology, history, political science, education, modern South Asian Studies, and to the general reader interested in India & South Asia.